Too often, church is a place where we believe we have to have it all together.  We want Arlington Commons Church to be a safe space where we can share the true stories about who we are, recognizing that OUR stories are GOD stories. We’re not perfect, and we don’t have to pretend or put on a pretty face--we bring our whole selves, knowing we will be accepted and loved. Vulnerability leads us away from isolation and towards connection with God and each other. We seek the common good through tangible acts of justice and service, putting our faith into action to better our community. We place a high value on partnering with local organizations so we can seek the common good together, working towards God’s beloved community. Church doesn’t have to be boring! Jesus loves to throw a good party. God creates joy and so we celebrate, have fun, laugh and embrace hope. God is the ultimate innovator, and so we pattern ourselves after God: always looking for new ways to live out an ancient story. We don’t own a building, so we gather in coffee shops and bars, restaurants and parks, living rooms and boardrooms. We offer ashes at the metro and communion in parks; we talk about social issues in pubs and create art in libraries. God gives us everything and so we give back: our time, resources, and abilities. God is a God of abundance but we live in a world with a scarcity mindset. We seek to resist the fear embedded in scarcity and to live generously and courageously. We come as we are but expect to be changed--we engage in spiritual practices that connect us with God, lead to personal growth, transform our relationships, and make an impact on the world.